These are the things I use and share. They are too good to keep to myself. Here, I let you in on what the tips and tricks I'm using right now. 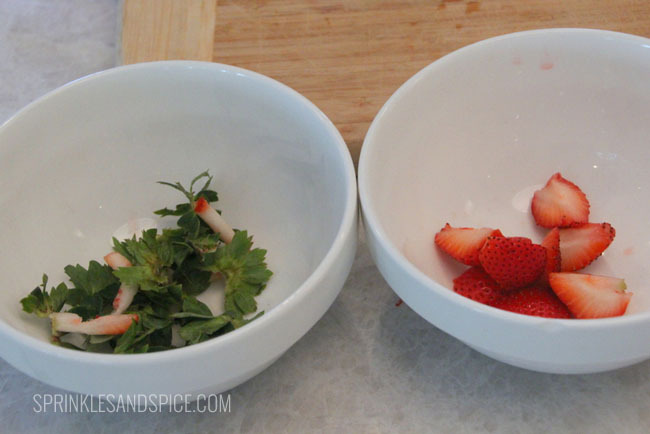 This is a simple trick to use with your fresh strawberries that you have. The green leaves on top of the strawberries aren't edible. An easy way to remove these is to take a normal plastic straw and stick it through the bottom of the berry and push up. 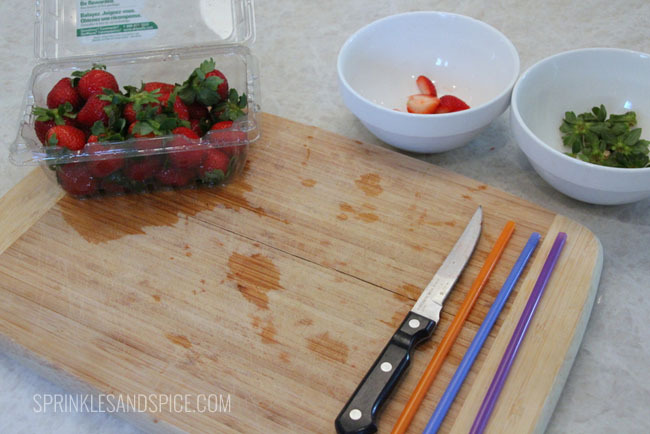 Once you pull out the straw the core of the strawberries comes out along with the green parts. Rinse and Eat!